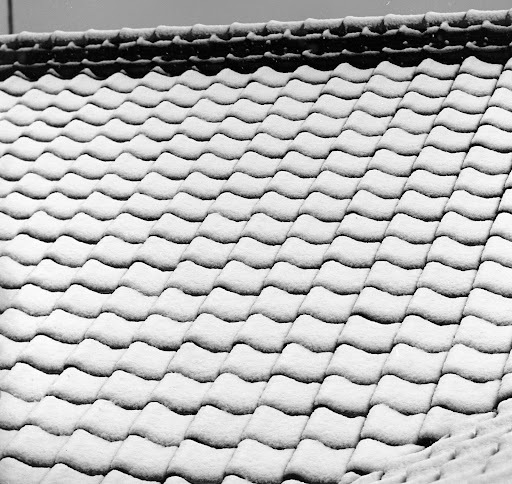 Snowy tile roof. Taken in Japan. Late 60s.